Koush released a new version of his cloud app syncing app called Carbon, this morning. 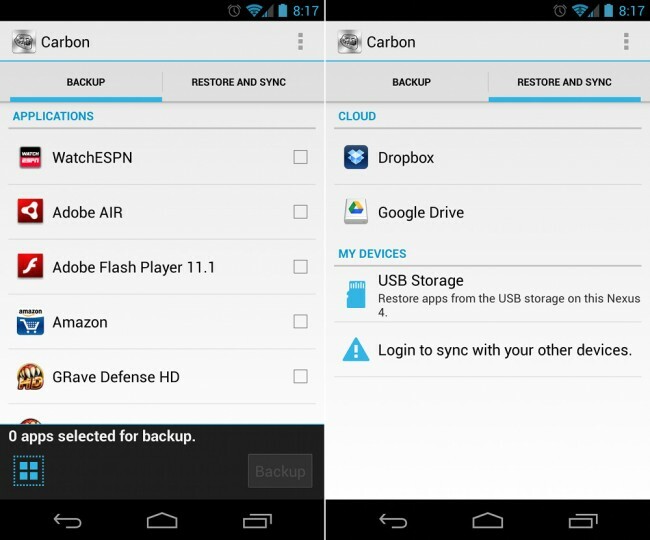 In the new build, which is still root-only, you can now backup to Dropbox, group apps into batches (and save those same groups for later), “select all” apps, and tell Carbon to backup app data only, rather than the entire .apk. He says there will be one more beta release that will be the non-root or “rootless” version before going to market.